Earthquakes do happen in Idaho and can happen here at any time at various magnitudes. You may only have seconds to protect yourself in an earthquake, before strong shaking knocks you down—or drops something on you. Stay indoors until the shaking stops and you are sure it is safe to exit. In most buildings in Idaho you are safer if you stay where you are until the shaking stops. Look around you now, before an earthquake. Identify safe places such as under a sturdy piece of furniture or against an interior wall in your home, office, or school so that when the shaking starts you can respond quickly. An immediate response to move to the safe place can save lives. And that safe place should be within a few steps to avoid injury from flying debris. 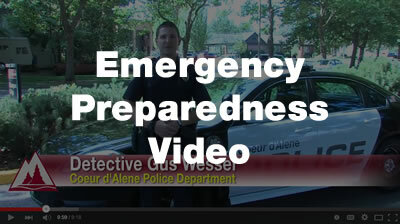 Watch this quick video for a visual resource describing the steps above https://youtu.be/1sbkSfQa69Q according to The Great ShakeOut Earthquake Drills website.